Bingo Knights are inviting us to inject some bang into our bingo by taking part in Bingo Connect V. This sensational two-week tournament could see you winning a Sony 8 inch digital photo frame in a slick black colour. The tournament is taking place right now, with level 1 beginning today and lasting until May 29. You get 10 points every time you bingo on a Chocolate Room win and 5 points on an FoS Room win. Top prize is $100 cash, second prize is $50 cash, and third-place is 50 points. Enter level 2 of the tournament, which takes place between May 30 and June 5 and you will be picking up 12 points for a Chocolate Room Win and 6 for an FoS Room win. Also at Bingo Knights is the chance to win big every time you bingo on the letters of the word PRAIRIE. You could win anything from extra deposit bonuses to BBs, to cashback and even a special surprise gift. See the lobby for details. 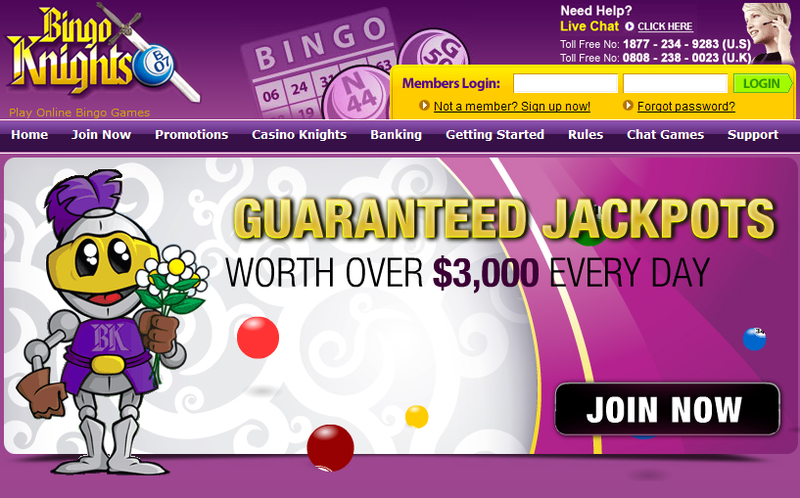 Bingo Knights are also giving away cash prizes to their top slot players. Come in first place and you could be winning $1000, second place will win you $70, third-place will win you $500 and fourth place will win you $300. You have until May 26 to take part and it features all of your favourite slots games. Sign at Bingo Knights today for your $25 free bingo bonus and to play some of the most exciting Internet bingo games around. If you have got the nerve to play for $10,000 and $2500 coverall bingo games then Internet bingo doesn’t get much better than Bingo Nights.